An engagement party in Central London. The Removal and storage of all the outside garden furniture. 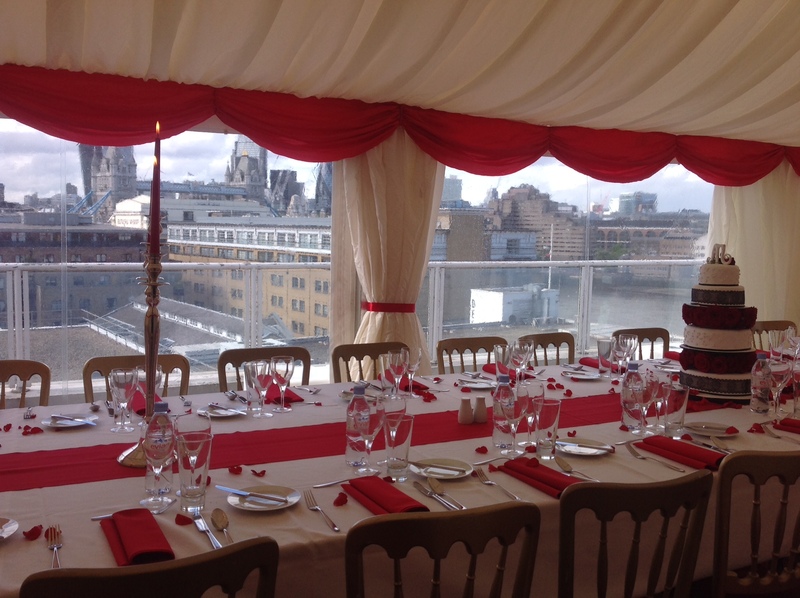 A 4m x 15m (15x50ft) dining marquee with panoramic windows to views over Tower Bridge with an ivory and red dressing. Transforming the main living area of the apartment with black and white dancefloor, bar furniture, and soft seating. A 3m x 12m (10x40ft) chill out marquee area on the rear balcony in a striking blue colour scheme with panoramic windows to views over canary wharf. Furniture included lit LED cube seating, lit linen covered poseur tables and ivory sofas.